All of your kindness and gratitude inspired me to get our Mommy School toddler program back on track. I have literally been working on this packet all week long, even though it is slimmer than previous packets. I have decided to make things as simple and as sweet as possible. Especially for toddlers, I believe in doing as many hands-on activities as possible! I tend to steer away from pencil/paper activities. So the beauty of this packet is all of the ideas. You can take these ideas and make them work for you! There are a few paper/pencil activities, but I mainly focus on ideas with the necessary visual aids. 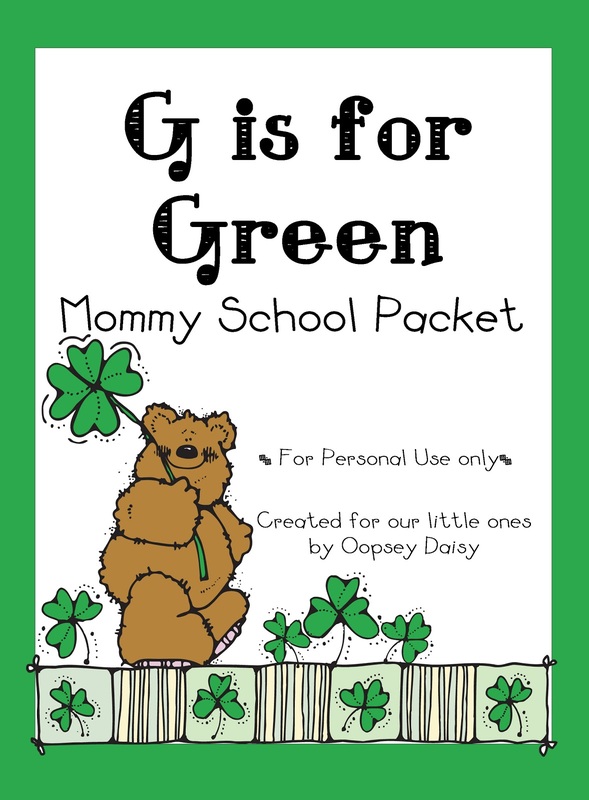 You can download your own "G is for Green" packet here or here on Scribd. I do have to enforce a few guidelines to protect myself when sharing my ideas. So please read before downloading. * This packet is in PDF format. Please be sure that you have the most updated version of Adobe Reader in order to open the file. I am not a computer expert, and I really can't help you with downloading issues. Clip art designs and/or fonts copyright Dianne J Hook. Used with permission from DJ Inkers. I could not share ANY of these cute fonts and clip art with you except for their support! Thanks guys! I would LOVE to hear about your learning fun! Could you make me a personalized packet with my guy's name and a special font and and and? JUST KIDDING!! My packet is printing now. I am so so so excited! Thank you from the bottom of my heart. This is a ton of work and I am so grateful that you go to all the trouble to put it together. Thanks again! I can't remember how I found your blog, but I'm so glad I did! I have a three year old son who is having a very difficult time adjusting to the birth of his baby brother. I know he needs extra attention right now, so I've started planning special activities for us to do together each day. My time is so limited right now with two kiddos, so this packet is such a blessing. You've done all of the work for me! 🙂 Amazing! Thank you!! Thank you taking the time to put this fun packet together! My daughter is going to LOVE it. Fabulous packet!Thank you for taking the time and for sharing! This will be so fun to incorporate with my little ones and my neice! Thank you so much! This is incredible! Your awesome! Hurray for the return of mommy school! This looks like an adorable packet. BUT, I'm going to need one talks more about rainbows… We really like rainbows at our house and use them a lot in our St. Paddy's Day decor. K? You know I'm kidding. I love that you spelled out your terms for sharing! You go, girl! WAHOOOO!!!! I love this! Can't wait to hang with my little man! You are so wonderful. Thank you for sharing this. This is going to help me out soooo soooo much. Seriously, thank you. Great idea! Great way to help reinforce what my son is learning in preschool! My son is already working on his second page and is so excited about it. 🙂 Thank you so much for all of the hours that you spent putting this together! I really appreciate it! YOU are wonderful for sharing this with us! Thank you thank you! You are too generous! I know things like this are so time consuming! Thank you for your time and talent! Thanks so much for sharing. I too put together packets for my preschooler and I know how time consuming it can be to gather everything together. Efforts like yours make it easier for us to help our kids grow and learn! SOOOO excited about this post! THANKS for all your hard work in putting it all together for us! I'm so glad I found your blog! Thank you so much for all your time and effort into Mommy School! My son is about the same age as your Little Man and the activities are just perfect. You are the best! Thank you!! Amazing. Thank you so much for generously sharing your hard work. I can only imagine how many nights you would have burned the midnight oil to get something like this done. We are going to have so much fun with all of your creative ideas and really appreciate what you have created. Thank you for posting this! I'm adding ideas into what I had planned for the next few weeks – I love that your ideas are perfect for the age of my kids! I appreciate your hard work!! Awesome, thanks so much! 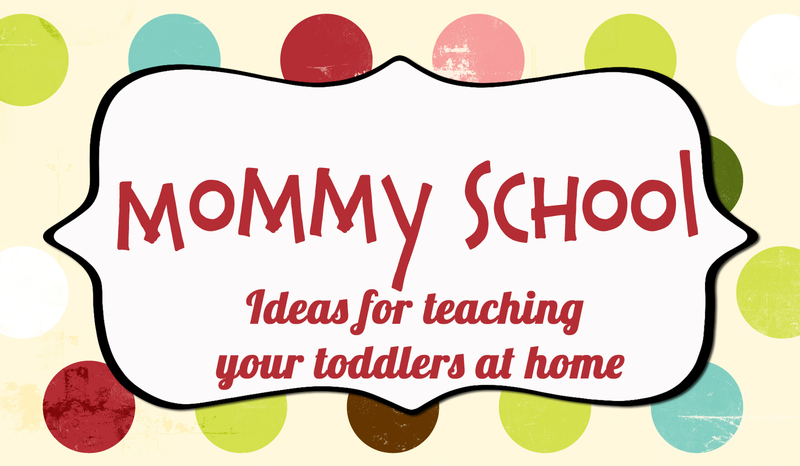 I needed some ideas for my toddler at home while my older one is at preschool. This is perfect. Thanks so much! My little ones will LOVE this! I probably won't use the letter G, I think I'll be using the letter L for Leprechaun and Lucky. I think I'll be using the letter G for Green, and Grow and Garden in the coming weeks. But thanks for the ideas! my little Leprechauns will sure enjoy doing these activites! Wow! Wow! Wow! Thank you! I can't wait to spend time doing these activities with my lil' wild child. I have a feeling you are very missed in those public school classrooms, I would have picked you to be my children's first grade teacher for sure. Thanks for sharing your hard work with us! It's really cool that you share such valuable stuff. I have a baby on the way so won't need it for a while but I'm sure I will appreciate people like you who are so generous in the future. Thanks for sharing this! Too cute! What I love about this packet is that there are plenty of things in there that my 3 1/2 yr old and my just turned 2 yr old can do together. I have a hard time finding things that are on both of their level at the same time. Thank you so much! Thank YOu! Thank You! I need something like this for my almost 3 year old son. He was what most consider a suprise at almost 8 years younger then our next oldest and I have forgotton what to do with teaching him. Your helps are an answer to prayers. Thank you for sharing your talents. Thank you! Thank you! Thank you! I am so glad you did this and I am excited to at least start doing some of this with my little guy! Did I mention thank you? I just ran across your blog and found your packets! I have wanted to do something like this with my little girl but was overwhelmed as to where to start, so thank you! Wow. Thank you for putting so much fun stuff into one place. So excited to do the activities with my girls. You are wonderful. Thank you so much for sharing this. This is so cute and fun and very motivating to do "school" with my son. Thank you!!! So many wonderful ideas! Thank you for your idea about the food coloring. I tried it with one of my students at school who fears the restroom.. He is now producing. :). Such a simple idea….has helped me kiddo in a huge way. Thank you so much! Your packets are the absolute best. I know it must take you so much time to prepare these. How do you do it all? Thanks so much! We had so much fun using your great ideas for St. Patrick's Day! Thank you!!!! Thanks so much!! I love your mommy school packets! 🙂 You are very talented and creative. Awesome, thank you for creating and sharing!! I’ve just stumbled upon your lovely site from Pinterest, and I am so glad that I did. You are so wonderful and creative to put all of this together for us mommies of toddlers!! I think this is exceptional, and I’m lookign forward to downloading all of the lessons to keep my little stinker busy at home when we are not outside playing or having other family time activities!! Thanks a million from the bottom of my heart!! Just found your site… thank you sooo much! Its wonderful!! First, thank you! I can’t imagine how much work this must be but I appreciate it so much! I’m so excited to get started with my kiddos. I was wondering if I could get the printable coloring pages like “G is for guitar” that has the tracing letters on the bottom for the other letters of the alphabet. Is there one website you found those at? Thank you again for helping us other mommy’s help our children learn! This is wonderful. You are doing an extraordinary thing. Please keep in mind that some children do not have Mommy in their life. My little grandson is a happy little guy and Daddy is doing a great job but there is so much in the world that saysMommy and he’s starting to notice it more and more. Our hearts break for him. I’m not trying to be a downer at all; this is great, but my son does enjoy using this web page with my grandson and everything says ‘Mommy.’ I really don’t mean to be a downer. I hope you understand. Thank you much for this! Can’t wait to try it out! What letter and number do you recommend teaching first? Thanks so much for all your hard work at putting these packets together and for your self-less sharing of that hard work! I’m homeschooling my grandson and this is a fantastic resource for our “pre-school”! Wow this sounds great. We have just decided to home school, this looks like an excellent starting place. Do we need to do these in a specific order? Thank you so much for sharing. Thank you!!! I taught K & 1st before my little one arrived and have always loved fun themed units! My little girl is only 16 months old but I’m sure we can sing some of the songs etc and add more as she gets older. I can’t wait! Thank you so much for sharing your work with us! As a preschool teacher, I totally appreciate it! I just found this through Pinterest and I can’t wait to use some of the materials this year for St. Patrick’s Day! Thank you so much! Thank you for providing this! How generous of you. My son and I will have lots of fun with the activities. This is amazing! I have a hearing impaired son, was born deaf and implanted with cochlear implants. He is behind his peers in language/communication! These activities are wonderful and I can’t wait to do them with him! Thank you for taking the time to put this together! I’m so glad I stumbled across your blog on pinterest! Pinterest sent me! What a wonderful bunch of ideas… will definitely be using with my 3-year-old! Thanks so much! Such great ideas! Thanks for all you do. Thank you! Can’t wait to put it in to practice. Thank you!! I love all your learning packets! You are amazingly talented and so generous to share these! You are much appreciated!! Hi, I am just now finding this amazing idea! Is there an updated version or packet or is based on time of year? I know this was posted in 2011, so I didn’t know if there was a new program. Hi Amber! 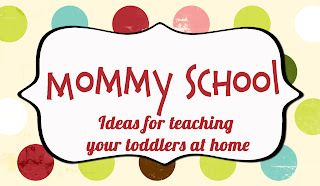 You should check out my Mommy School tab for more info on Mommy School as well as a listing of all of the packets I have completed. I hope that helps! This is wonderful! I’m wondering if you have any previous packet available? My son is two and I’d really love to start at the beginning of the alphabet. Hi Stacey. All of my Mommy School packets are available under my “mommy school” tab. But just a head’s up: I plan them thematically, and they probably won’t make a lot of sense if you go straight through the alphabet. 🙂 “H is for Halloween” won’t make much sense in February, for example. They are more thematically planned. I hope that helps! Ok, i feel like an idiot. I have downloaded 4 shared and still cannot get the packet to print. It just keeps taking me back to the 4 shared website. People seem to be downloading so I dont know what i am doing wrong. Is there some other way to download the packet without using 4 shared? Please help. Hi Tara. You don’t need to download anything… but you will need to put your e-mail in to sign in. The download is a desktop for 4-shared and is just an advertisement. Just ignore it. 🙂 You just need an account, by signing in with an e-mail address. I hope that helps. Thanks Alison for sharing with all of us! Do you have your other packets that can be purchased? If so, where can I find them to buy them? Thanks. Hi Verena, all of my Mommy School packets are free and you can see all of them under my “Mommy School” tab.